ESO Supernova Exhibition — How common are the building blocks of life? How common are the building blocks of life? Organic molecules, containing atoms of carbon, hydrogen, oxygen and nitrogen, are the building blocks of life. They turn out to be abundant in the Universe. 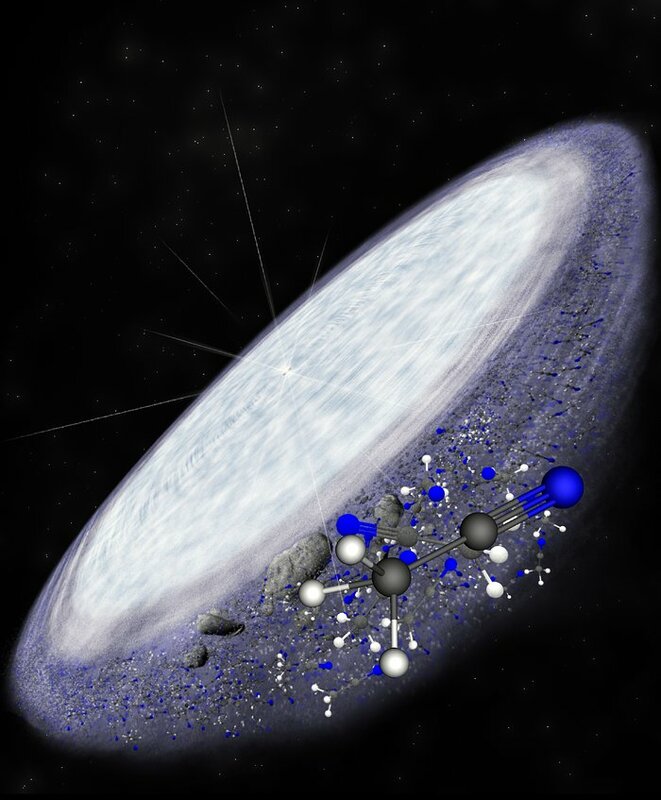 Cold organics: Beyond the “frost line” of a star, organic molecules can freeze and turn to snow. Molecular storehouse: In the outer parts of the protoplanetary disc of MWC 480, complex molecules of methyl cyanide have been found. 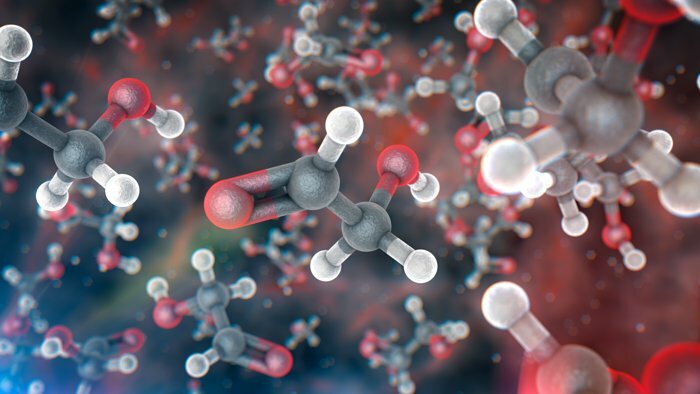 Over the past decades, astronomers have detected many dozens of different organic (carbon-bearing) molecules in interstellar space. They range from simple carbon monoxide (CO) to more complex compounds like propanal (CH3CH2CHO) and glycolaldehyde (C2H4O2) – a simple form of sugar. Submillimetre telescopes like ALMA have revealed the existence of organic molecules in protoplanetary discs around infant stars. 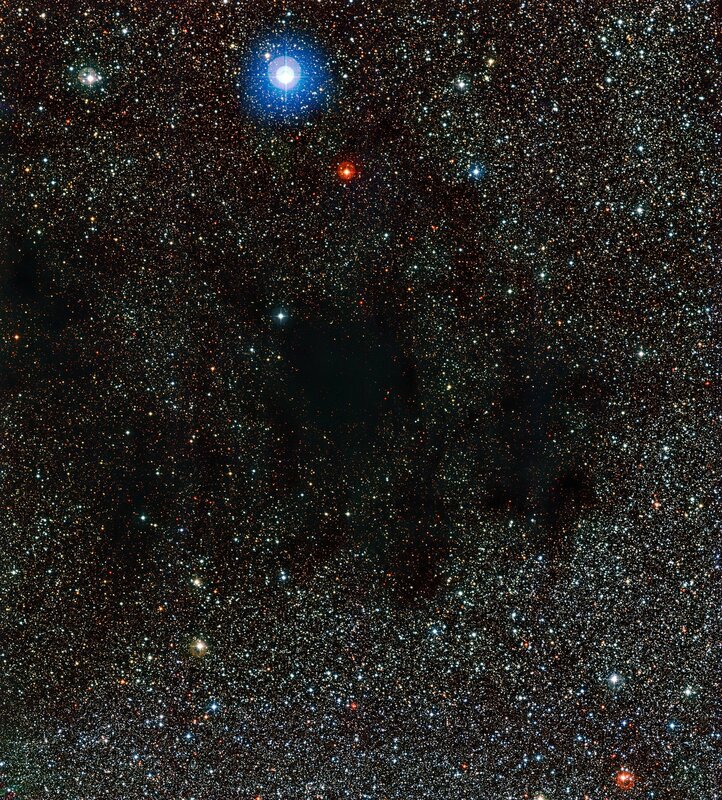 Almost everywhere, the stage appears to be set for the emergence of life. Chemical collisions: Red, pink and yellow colours denote where the ALMA observatory has detected carbon monoxide molecules in the colliding Antennae Galaxies. Sweet spot: Molecules of glycolaldehyde, a simple form of sugar, were found in the gaseous disc surrounding a young binary star. Glycolaldehyde molecules form through chemical reactions on the surface of small dust particles. The smallest building blocks of living things are organic molecules. They have been found all over the Universe. Does this mean that there is life out there, too?